Today we decided to take a visit to the beautifully crafted Wild Clover Brewery in Stellenbosch, designed by the talented team of In House Architects. What a refreshing space! Every aspect of the design has been carefully thought through using concrete, wood, glass and bespoke lighting, creating a space that emanates a fresh yet warm ambiance. And what is our favourite feature in this Brewery? Well, we might be slightly biased in our decision, but the floor that they have created is just perfection. 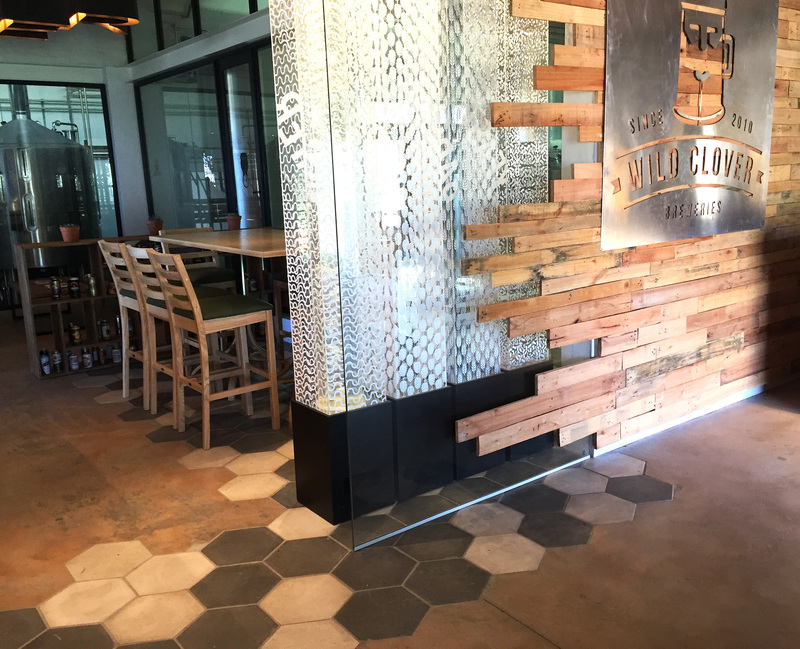 They have used our Hexagon Charcoal and Light Sand tiles in a random pattern in specific area’s within the brewery. It finishes off the space and gives a real design element to the floors. We love how they have butted them up to a rustic concrete floor – excellently done. If you would like to visit, check out their website www.wildcloverbreweries.co.za , fantastic handcrafted beer to taste in a beautfiully handcrafted space.